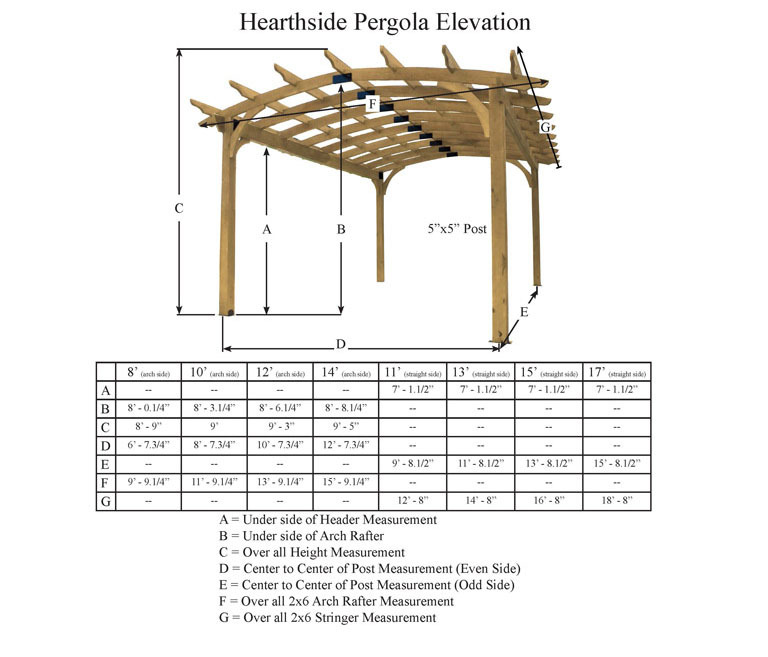 Unstained pressure-treated pine wood, solid laminated 5""x5"" posts, 2""x6"" arched joists utilizing engineered connection brackets for strength. 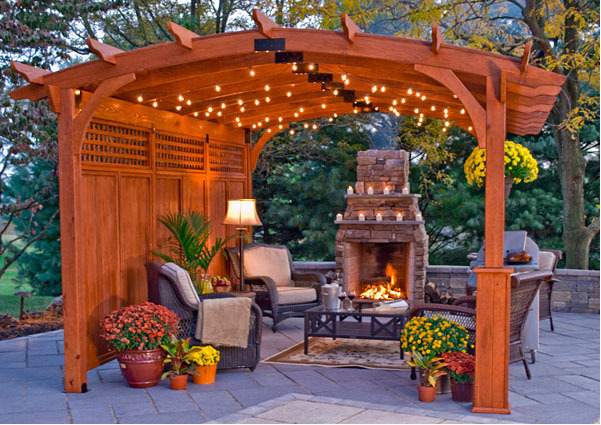 Arched Rafters span across even measurement side and 2""x6"" runners with scalloped ends spans odd side. Both with notched intersections to resist warping. Triple ply 2x8 header for added strength to maintain a straight non-sagging appearance, mounting brackets for concrete pad and wood decks. Privacy Wall: Blocks wind and creates an intimate setting. Lattice Roof: Provides increased shade.